Cardiff’s international arts festival, Festival of Voice, returns this year for its second instalment. Encouraging a spirit of discovery, the festival includes one-off events, unique collaborations, community participation projects and features powerful and diverse voices from music and the arts, both locally and internationally. The first wave of announcements includes an intimate Words and Music event with legendary American musician, poet and activist Patti Smith (11 June) in the beautiful St John’s Church, Canton. And the following day, Patti takes to the stage at Wales Millennium Centre for An Evening with Patti Smith, with Lenny Kaye and Tony Shanahan (12 June). Festival-goers will also be able to experience the world premiere of Gruff Rhys performing with BBC National Orchestra of Wales (10 June), who celebrate their 90th birthday this year. Other headline artists appearing at Wales Millennium Centre are Ivor Novello award-winning singer-songwriter, Passenger (14 June), plus Nadine Shah opens for Billy Bragg on the first night of the festival (7 June) with a special Voices of Protest evening. Festival of Voice is also inviting women (those who identify as women or non-binary) and girls to raise their voices on the first Sunday of the 11-day festival (10 June) with a large-scale collaboration with public art specialists, Artichoke and 14-18 NOW, a major cultural programme which marks the centenary of the First World War. PROCESSIONS is a once-in-a-lifetime opportunity to take part in a mass participation artwork to celebrate one hundred years of votes for women. Women and girls can register now (processions.co.uk) to take part in the procession through the streets of Cardiff, creating a living portrait of women in the 21st century. Processions will take place on the same day in four major cities around the UK – London, Belfast, Glasgow, and Cardiff (the only procession which falls within a festival). Graeme Farrow, Artistic Director, Wales Millennium Centre and Festival of Voice said: “We are delighted to announce the first wave of world-class artists who will be performing at the second Festival of Voice. This gives just a taste of what’s to come. As well as other exciting events which embrace theatre, art and all musical genres throughout the city, this year’s festival will also include opportunities to get involved, protest or just hang out in specially designed spaces from daytime into the early hours of the morning. Festival of Voice celebrates a spirit of discovery, and on 6 March will release a full programme of more one-off performances from much-loved artists, specially commissioned collaborations and community projects at various venues across Cardiff, the UK’s first Music City. The programme of music and arts will welcome those firmly on the creative frontier, with shows spanning contemporary and classical music, opera, theatre, talks, visual arts and venue takeovers, with the welcoming city of Cardiff as the host. Other shows currently announced across the city include – American singer-songwriter Laura Veirs (9 June) at St John’s Church, Canton, performing songs from her newly released tenth album, The Lookout, giving a voice to themes of accountability, gratitude, fear and cultural decline; Karine Polwart: Wind Resistance (15 – 17 June) at Royal Welsh College of Music & Drama, a spellbinding alchemy of story and song from the Edinburgh folk artist; and The Tiger Lillies: The Ballad of Sexual Dependency (15 & 16 June), a multi-arts experience that sees the cult British trio perform a live soundtrack for the Ballad, one continuous piece of music that evolves and underscores the beauty, pain, joy, tragedy and sorrow of relationships alongside startling images by Nan Goldin. 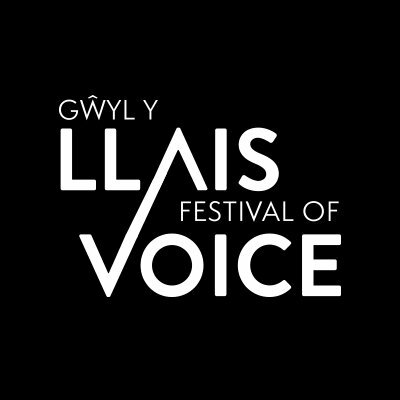 The full Festival of Voice programme will be announced on 6 March with more unique, powerful and diverse voices from Wales and the world. There will also be free events and opportunities for participation and volunteering, making this a festival for many voices to hear and be heard. For updates and further information, visit festivalofvoice.wales.